LeBron James sent a wave through the NBA when he announced his decision to move from the Cleveland Cavaliers to the Los Angeles Lakers. The move demands a certain level respect. James could have easily stayed in the Eastern Conference, where it would have been easy for him to waltz his way back into the Finals. Instead, he chose to move to the Western Conference, where the competition is much more fierce. In all honesty, James could have joined the 76ers and went to the Finals every year for the next four years if he wanted too. James' move has the Cleveland Cavaliers looking to rebuild their roster. According to Bleacher Report, ( The Athletic's Jason Lloyd), multiple sources around the NBA are claiming that the Cavs are open to trading away Kevin Love. Joe Vardon Cleveland.com reported a different story prior to James' announcement, claiming that the Cavs have no intentions losing Love because they "would rather try to make the playfs than immediately begin rebuilding without their iconic star." 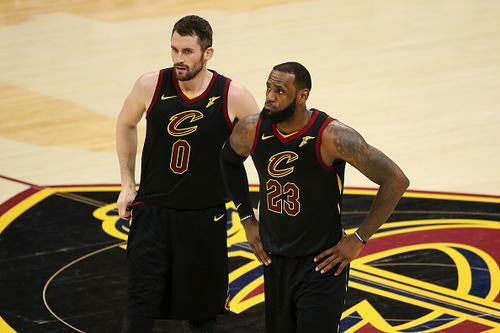 Conflicting stories are the norm during the NBA fseason, and with such an insane free agency scramble taking place, Kevin Love's destination may not be decided for another few weeks. Next story Cardo Antonnio Drops His Debut Album "Talk Talk"
Joey Bada$$ Teases New Track: "F*** The King Of New York, I’m The King Period"
Human Traffic director: "The sequel is going to be a reaction to Brexit"